There's a change in the welterweight line-up for the upcoming UFC 123: "Rampage vs. Machida". 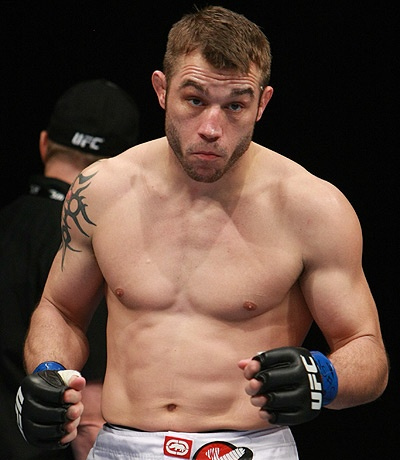 Brian Foster will be stepping in to face Matt Brown, after Rory MacDonald was forced to bow out of the Nov. 20 contest. With Rory MacDonald suffering from a knee injury, the welterweight line-up for UFC 123 has been changed. Happy to take MacDonald’s place is the HIT Squad product, Brian Foster, that will face Matt Brown at the November 20 match. Matt Brown is coming from a crafty submission loss by Chris Lytle at UFC 116 back in July. It was Brown’s second submission lost after gaining his three-win streak. And though he’s an entertaining fighter, Brown has some urgency to make it to the fight. And like Matt Brown, Brian Foster is also a victim of a well-planned submission loss. However, Foster was able to redeem himself at UFC Fight Night 22 after rattling out Forrest Petz. The UFC 123 will feature a light heavyweight match between Lyoto Machida and Quinton “Rampage” Jackson. More on the tourney will be the Matt Hughes vs BJ Penn trilogy.